David B. Dreher’s clients operate both domestically and around the world. For more than 15 years, his sound advice has allowed them to successfully navigate mergers and acquisitions, private equity investments, venture capital financings, minority equity investments, private placements, loans and strategic alliances. David is also well-versed in the day-to-day needs of corporate and executive clients, including employment arrangements, incentive plans, commercial contracts and corporate governance matters. David has represented the full range of corporate stakeholders, including not only corporations themselves but also majority and minority investors (with an emphasis on private equity and venture capital funds), founders, executive officers, boards of directors and special committees. In doing so, David has become intimately familiar with the operations of a wide range of industries, including private equity, venture capital, transportation services, traditional and renewable energy, hospitality, SaaS, manufacturing and retail. Unidine Corporation. Advised Unidine Corporation, a top provider of food and dining management services, through multiple rounds of debt and equity financing as well as debt refinancing. The GroundTruth Project Inc. Guided The GroundTruth Project through its formation and 501(c)(3) tax exempt filing with the Internal Revenue Code. The GroundTruth Project is now a frequent contributor to WGBH News as well as a number of other media platforms as it seeks to train a new generation of correspondents. David joined Feinberg Hanson in 2011. 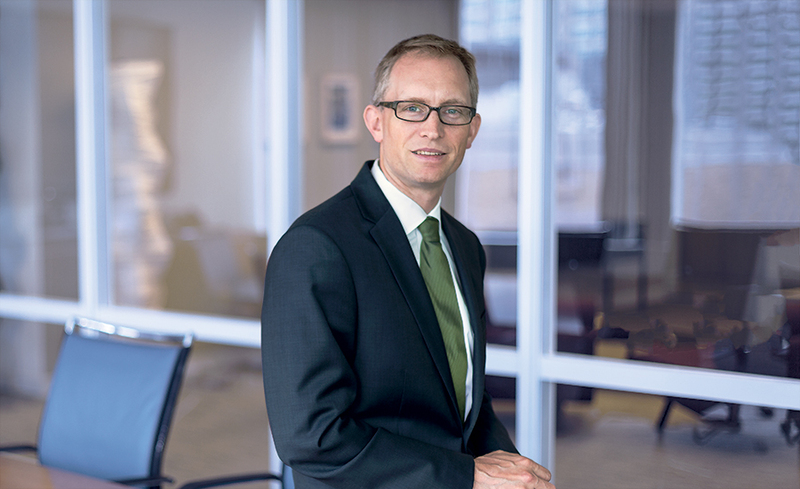 Prior to joining Feinberg Hanson, David practiced as an associate in the corporate departments of a number of Chicago law firms, including Kirkland & Ellis and Mayer Brown. Prior to entering private practice, David clerked for the Honorable Richard D. Cudahy on the United States Court of Appeals for the Seventh Circuit from 2000 to 2001.